Expedia has some outstanding Manahawkin package deals Combining your bookings is a surefire way to save time and cash — and get your adventure off to a flying start. Savings of as much as 40,450 YEN* are waiting for savvy vacationers who secure a package deal on Expedia. With more than 400 partner airlines and 321,000 properties worldwide, our extensive database can get you to your ideal vacation spot. Still undecided? 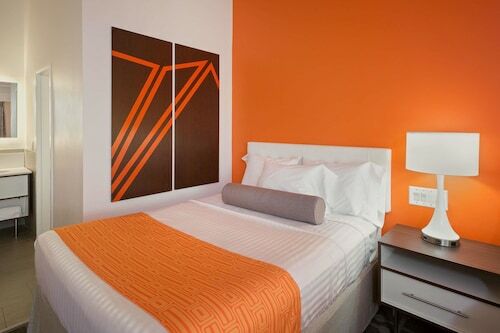 You won't pay us a cancellation fee when you change almost any reservation. We've got all the hot sightseeing tips for your next trip to Manahawkin. Grab your travel organizer and get ready to start padding out your itinerary. Whether you're a pinball pro or a complete rookie, Eagleswood Amusement Park has an impressive range of arcade tables to suit all ages and skill levels. Travelers are spoilt for choice in and around this destination. If you'd like to take some strokes off your handicap, then head over to Sandbar Golf. Grab your clubs, perfect your swing and unwind with the friendly locals at the 19th hole. Still have some time on your hands? Mini golf is a fun, easygoing outing for all ages and skill levels. So round up the little ones and experience some quality family time at Hartland Miniature Golf & Arcade. 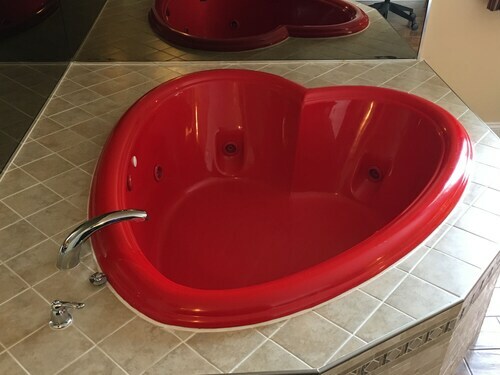 On the hunt for a place to sleep for your luxury getaway or cheap vacation in Manahawkin? It's advised you get in fast, as there are only 2 Expedia properties to choose from. 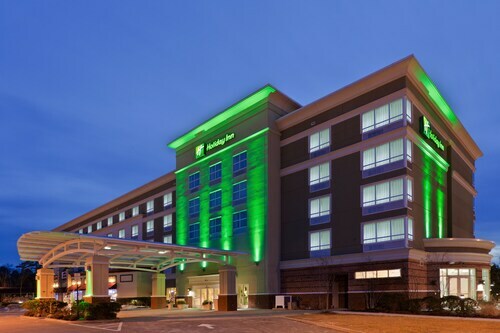 The Beach House (40 North 1st Street, Surf City) and the Holiday Inn Manahawkin (151 Route 72 West) are held in high regard by travelers. Atlantic City International Airport (ACY) is the entry point for most visitors going on a trip to Manahawkin. It's situated 25 miles (40 km) from the downtown area. Situated in Manahawkin, this hotel is 3.1 mi (4.9 km) from Eagleswood Amusement Park and within 9 mi (15 km) of Hartland Miniature Golf & Arcade and Sandbar Golf. Brant Beach and Tuckerton Seaport & Baymen's Museum are also within 9 mi (15 km). Situated near the beach, this hotel is within a 15-minute walk of Playdrome Lanes and Knuckleheads Comedy Club. 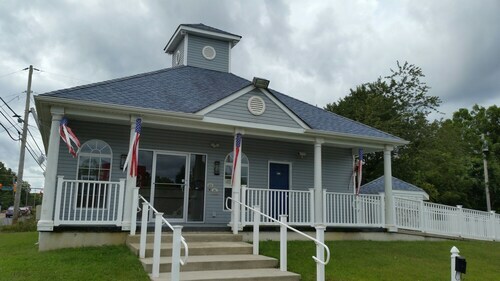 Ocean County Historical Museum and Ocean County Library are also within 2 mi (3 km). 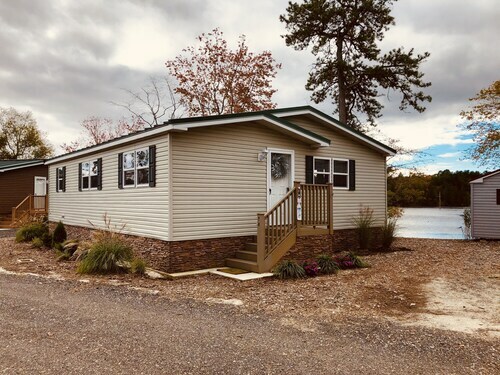 Situated on a lake, this vacation home is within 3 mi (5 km) of Richard Stockton College of New Jersey, Harold E. Taylor Observatory, and Sahl's Father Son Farm. Historic Smithville and Village Green and Days of Olde Antique Center are also within 6 mi (10 km). Situated in Galloway, this hotel is within a 15-minute walk of Days of Olde Antique Center and Historic Smithville and Village Green. Galloway National Golf Club and Edwin B Forsythe National Wildlife Refuge are also within 3 mi (5 km). Nestled on the beach, this Ship Bottom motel is within 1 mi (2 km) of Sandbar Golf and Hartland Miniature Golf & Arcade. Brant Beach is 2.1 mi (3.4 km) away. Situated in Toms River, this hotel is within 3 mi (5 km) of John F. Peto Studio Museum, Shelter Cove Park, and Cattus Island County Park. Playdrome Lanes and Knuckleheads Comedy Club are also within 3 mi (5 km). 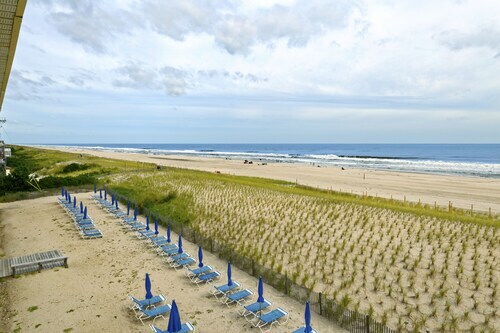 Located in the heart of Seaside Heights, this motel is within a 10-minute walk of Seaside Heights Beach, Casino Pier, and Seaside Park Beach. Ortley Beach and Ocean Beach are also within 3 mi (5 km).